Hollywood actor George Clooney is back to single status again, after two years with Eisabetta Canalis by his side. 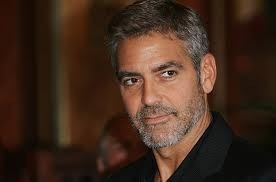 Reuters reports that one f the most desired bachelors in the world, 50 year old George Clooney is single again. He and Italian girlfriends Elisabetta Canallis – who is 32 years old – have broken up after a relationship that lasted 2 years. Something must have happened between the two and we cannot help linking this news with the fact that at the beginning of June, Canalis told Italian magazine Chi that she want to get married. She stated ““I am a firm believer in marriage. In the future I will be married”. Hopefully she was not referring to a future with Clooney, because there were many rumors at that time already forecasting the split between the two. Canalis told Chi that she thinks the media is trying to make up stories on their private couple life. “They all say that I spend my time organizing parties and that my boyfriend does not want to marry me and be with me anymore” she said and explained that “everything that you read is just a rehash of stuff that has been written in the past” about Clooney’s private life regarding his marriage intentions. Past or not, his intentions remained the same: he does not want the husband label anymore. None of the two clearly stated the reason that resided in the break-up so far. We expect more on the case in the following days.